You can connect social accounts by clicking the plus icon in the sidebar anytime. Click on the type of account you want to connect and follow the steps. You will be asked to log in to your social account as a security practice and approve permissions that Comity requires to manage your social profiles on your behalf. If you are connecting a page or group, there will be an additional step asking you to select the page or group to link to Comity. From time to time we may ask you to reconnect some of your social accounts for security reasons (Typically every three months). You will be prompted with steps when this is required. 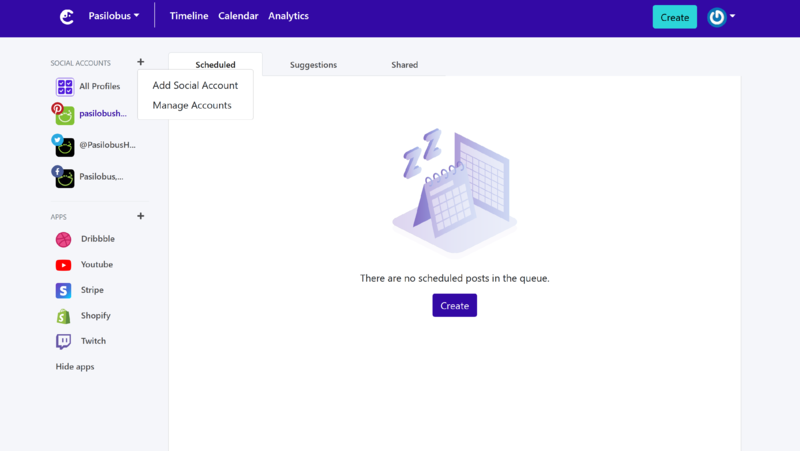 You can also reconnect your social accounts anytime to update the information appearing in Comity, such as username & avatar. To do so click "Manage Accounts" and then select to reconnect.